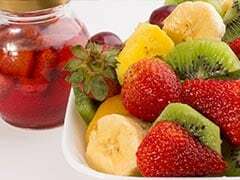 Eating fast food thrice a week or more elevates the risk of asthma and eczema, while eating fruit with the same frequency provides a protective effect, says a study. The findings of the research led by professor Innes Asher and Philippa Ellwood from the University of Auckland's department of paediatrics could have huge implications for public health. Data was collected on more than 319,000 teenagers (13-14 years of age) from 107 centres in 51 countries, and more than 181,000 children (6-7 year-olds) from 64 centres in 31 countries, the respiratory journal Thorax reports. All the participants were involved in the International Study of Asthma and Allergies in Childhood (ISAAC), a collaborative research project which has been led by Auckland for more than 20 years and now involves more than 100 countries and nearly two million children, making it the largest study of its kind, according to an Auckland statement. The teenagers and their parents were quizzed about the prevalence of symptoms of asthma (wheeze), rhinoconjunctivitis (runny or blocked nose accompanied by itchy and watery eyes) and eczema, and about their weekly diet. These included meat, fish, fruits and vegetables, pulses, cereals, bread and pasta, rice, butter, margarine, nuts, potatoes, milk, eggs, and fast food/burgers. Participants were asked to assign their consumption of each of these foods to one of the following categories: never; occasionally; once or twice a week; three or more times a week. 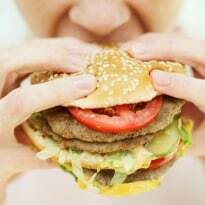 Comments	After taking account of factors likely to influence results, the analysis showed that fast food was the only food type to show the same associations across both age groups, prompting the authors to suggest that "such consistency adds some weight to the possible causality of the relationship".